The Two Roads Award is open to unpublished p rose writers (individuals who have yet to publish a major work, i.e. 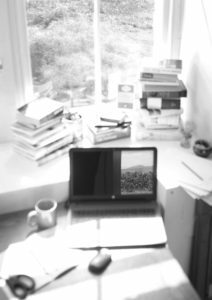 a novel or short story collection) living and working in the UK who have a work in progress. • A completed application form which will demonstrate that that you are recipient of benefits and/or on low income. This form will also ask you to provide a synopsis of your work in progress and the reasons why you would like to attend a course at Moniack Mhor. It will also ask you to declare any literary achievements to date and will include a sample of your work. You can download the application form here: Application Form Two Roads Award. Whilst emailed submissions are our preferred method for receiving your work, we will accept postal entries.